"Growing old is mandatory, Looking your age is optional"
Rid unsightly, embarrassing Spider Veins. Stop hiding Spider Veins, Liberate your legs. Once you get it, you really get it. 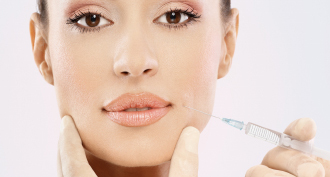 Why millions of women have experienced the real, noticeable results of BOTOX® Cosmetic. Hello JUVÉDERM® XC...goodbye, lines. Everyone will notice, no one will know. Restores volume subtly. Spider veins are abnormally dilated blood vessels in the skin.They usually appear on the legs but can also occur on the face and less commonly the chest, arms, and back. Contrary to what many physicians are taught, spider veins can cause the same symptoms as much larger varicose veins including itching and burning. Although they may be symptomatic, spider veins are not usually a health hazard and do not lead to serious complications. Although they can be symptomatic and problematic, insurance companies do not consider spider veins a medical problem and do not cover their treatment (unless in rare cases they bleed profusely after being injured). Hence, most spider veins are considered and treated as a cosmetic problem. Sclerotherapy is the treatment of choice for spider veins. In sclerotherapy, a solution is injected into the abnormal veins causing them to shrivel and disappear. Blood is re-routed into nearby healthy veins. Although there has been much publicity about 'laser' treatment for spider veins on the legs, most vein specialists consider laser therapy for spider veins on the legs to be less effective and more painful than sclerotherapy. However, spider veins on the face appear to respond better to laser than do spider veins on the legs. 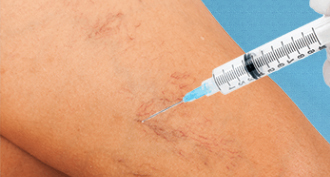 The tiniest spider veins may disappear quickly. Larger veins require a few weeks to improve in appearance. 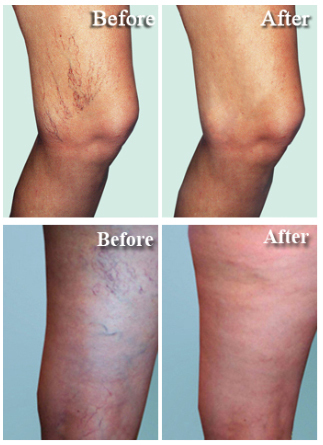 No treatment can eliminate 100% of all spider veins. Improvement of 70-80% is realistic and will be cosmetically appealing. Normal healing can take several weeks, so your treatment sessions will be separated by at least 3-4 weeks to allow for healing to occur. Sun exposure and tanning beds are discouraged during the first 2 weeks after each treatment. Each treatment session takes 30 minutes as there are safety limits on the amount of Sclerosant that can be used to treat spider vein. We treat both legs, front and back, during each treatment session. This results in a gradual cosmetic improvement all over rather then treating one area at a time. Initial treatments will focus on the most heavily involved areas or the most symptomatic areas. The average patient usually requires 3 to 6 treatment sessions. Significant cosmetic improvement can usually be expected near the end of the prescribed treatment course. In most cases it has taken years for these veins to develop. They will not go away over night. It will take weeks or months to eradicate them. Contrary to reports in the media "there is no one treatment solution." All patients are instructed to walk as much as possible in the days following each treatment. This helps to re-route blood to the deeper, healthier veins. Support stockings are worn for several days after each treatment to assist in healing and reduce any mild discomfort which may occur. Spider vein treatments are relatively painless. Sedation and local anesthesia are not needed. You may drive yourself to and from your appointments and go right back to work and resume your normal routine immediately following treatment. Laser uses light energy, and It’s much more difficult to get light energy safely through the skin and into a spider vein than it is to directly inject the spider vein with sclerosing medication. More importantly, by treating only the spider veins visible on the surface, larger diseased veins nearby that may be causing the spider veins are not addressed. The depth of penetration of most commonly available light or laser devices is insufficient to treat deeper veins that sometimes cause spider veins. For these reasons, lasers and intense pulsed light (IPL) sources are not yet a substitute for sclerotherapy on the legs. For surface veins on the face, especially those too small to inject, lasers and intense pulsed light (IPL) sources do have a distinct advantage and work well. When applied to the legs, however, difficulties arise due to the fact that the veins are of multiple sizes and depths, and the overlying skin is thicker, causing greater scatter of the light. In general, sclerotherapy is usually less painful than laser treatment and can treat many more veins in a treatment session than lasers or light therapy, making sclerotherapy the treatment of choice for most patients with spider veins. 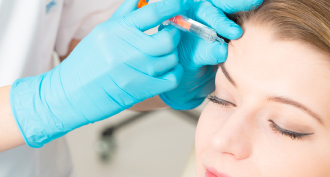 BOTOX® (onabotulinumtoxinA) for injection is indicated for the prophylaxis of headaches in adult patients with chronic migraine (≥15 days per month with headache lasting 4 hours a day or longer). 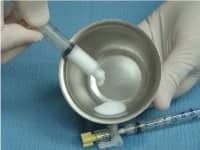 BOTOX® is indicated for the treatment of upper limb spasticity in adult patients, to decrease the severity of increased muscle tone in elbow flexors (biceps), wrist flexors (flexor carpi radialis and flexor carpi ulnaris), and finger flexors (flexor digitorum profundus and flexor digitorum sublimis). 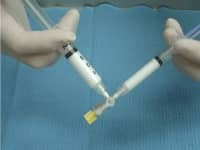 Safety and effectiveness of BOTOX® have not been established for the treatment of other upper limb muscle groups, or for the treatment of lower limb spasticity. Safety and effectiveness of BOTOX® have not been established for the treatment of spasticity in pediatric patients under age 18 years. BOTOX® has not been shown to improve upper extremity functional abilities, or range of motion at a joint affected by a fixed contracture. The safety and effectiveness of BOTOX® for hyperhidrosis in other body areas have not been established. Weakness of hand muscles and blepharoptosis may occur in patients who receive BOTOX® for palmar hyperhidrosis and facial hyperhidrosis, respectively. Patients should be evaluated for potential causes of secondary hyperhidrosis (e.g., hyperthyroidism) to avoid symptomatic treatment of hyperhidrosis without the diagnosis and/or treatment of the underlying disease. 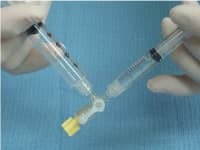 Safety and effectiveness of BOTOX® have not been established for the treatment of axillary hyperhidrosis in pediatric patients under age 18. 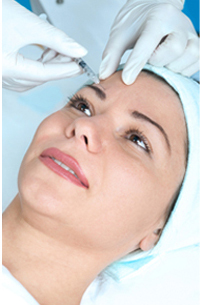 BOTOX®Cosmetic is indicated for the temporary improvement in the appearance of moderate to severe glabellar lines associated with corrugator and/or procerus muscle activity in patients 18 to 65 years of age. Experience JUVÉDERM® XC. The smooth gel filler that lasts up to one year. JUVÉDERM® XC is a smooth gel filler that your doctor uses to instantly smooth away wrinkles around your mouth and nose. With just one treatment, you’ll get smooth and natural- looking results that last up to a year. JUVÉDERM® XC is manufactured using Hylacross technology, creating a smooth consistency gel. 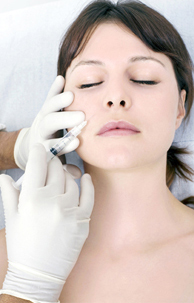 It is infused with lidocaine to improve comfort during treatment. With JUVÉDERM® XC you get the smooth results you expect with the improved comfort you want.